Earrings and Earrings and More Earrings...Only $2.99! You are here: Home / Great Deals / Earrings and Earrings and More Earrings…Only $2.99! 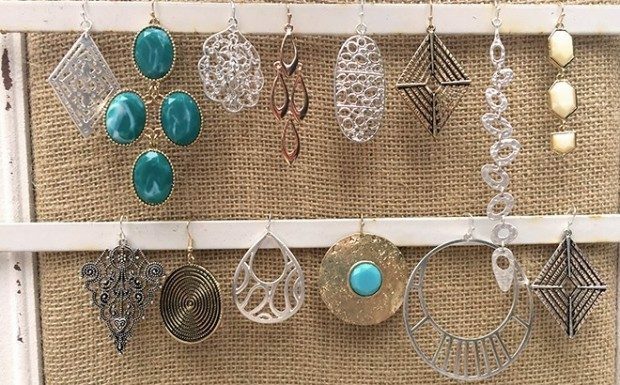 Earrings and Earrings and More Earrings…Only $2.99! Sooooooo many earrings to choose from, so much more than you see here! A great way to bring a pop of Color, Sparkle and Shine into your look. Lots of styles to choose from with fun textures and shapes. Limited quantities in each style; get your Earrings and Earrings and More Earrings…for Only $2.99!